There was a time when a person living with a disability and their family didn’t have to worry about financial security. Everything was taken care of by the provincial government. In fact, if you gave birth to a child a with a disability many years ago, doctors and other professionals would recommend you admit your child to an institution. From a caregiver’s perspective, the government took care of everything. When the institutions closed, community agencies took over and provided day programs and group homes. Well times are different now. We now know that institutions and group programs offer very limited opportunities and many people want more. Today, the focus is on individualized funding that provides money directly to the person so they can create the opportunities and supports that will serve them best. However, governments in most developed countries rarely provide sufficient resources that a person with a disability requires to live a full life. If you want to ensure your son or daughter with a disability has the support they need as well as long term financial security, it will be up to you to cobble together a plan from a number of sources, including any possible contributions from family members and friends. Stretching any and all available funding matters a great deal, and many families do so creatively with good results. One of the first actions taken by Ontario’s government in 2018 was to merge two ministries into one. The Ministry of Children, Community and Social Services (MCCSS) now provides supports for both children and adults who live with a disability. For more information on SSAH, check out the program guidelines. Once you have determined that your family qualifies for funding, download and complete this application form, and send it to your nearest regional office. To access support within each of the children’s treatment centres, people generally need to be referred by their doctor for a particular service (while some members offer programs such as summer camps or educational opportunities for the general public, in most cases they support families who have been referred for specific purposes). All member organizations listed on the EKO website are staffed by experienced and licensed professionals providing treatment and support to children, youth and families in every region of Ontario. To find an EKO member agency in your area CLICK HERE. There are several supports available to adults with a disability through MCCSS, generally accessed through the DSO. But other supports can also be accessed through other provincial ministries and the federal government. For additional links and a detailed overview of Developmental Services Ontario CLICK HERE. To find your local DSO office CLICK HERE. It is important to note that demand for this funding is high and the wait list is currently very long. Passport funding is prioritized—meaning the amount of funding and time involved to receive funding depends on the information provided on the DSO form. Each person has a different level of need and risk depending on their personal situation, compared to other people across the province. Five key areas are considered: the person’s current living situation, their behavioural support needs, medical and personal support needs, and the circumstances of the caregiver. Depending on your loved one’s situation they could receive additional funding – this will depend on the type and number of services needed and what kind of support(s) the person and family is already receiving. Once this funding in place, many families use it in creative ways, with very good results! For example, some people choose to use a portion of passport funding toward Independent Facilitation or Person Directed Planning – both of which can significantly enhance quality of life and long-term security for an adult with a developmental disability. Check out the stories at the bottom of this page to find out more. 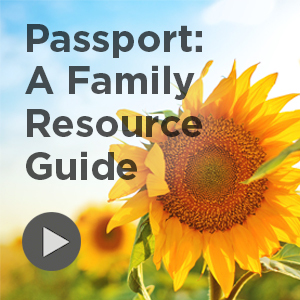 For additional links and a more detailed overview of the Passport program, CLICK HERE. LHINs and Community Care Services are free and available to Ontario residents of any age. Anyone can make a referral – a person requiring service, a family member, caregiver, friend, physician or other health care professional. To contact your Local Health Integration Network directly for information on what’s available in your area, CLICK HERE. ODSP rules are complex and do change from time to time—especially when a new government is elected. It is well worth taking the time to understand the rules, to make sure this important benefit remains protected for daily living and long into the future, when most adults with a disability who are aging without primary caregivers will need this support more than ever. For additional links and a more detailed overview of the Ontario Disability Support Program, including any recent changes, CLICK HERE. RDSP recipients can take advantage of the Canada Disability Savings Grant. $1,500 in personal contributions can trigger a grant of up to $ 3,500 each year to a maximum lifetime grant of $ 70,000. Additionally, those living on less than $30,000 annually will receive $1,000 each year automatically for up to 20 years through the Canada Disability Savings Bond. Because anyone at all can contribute to an RDSP, all other family members and friends are free to help out the person financially. Disability benefits like ODSP are not affected by having an RDSP. Best of all, the person with the plan can choose what to do with the money–there are no restrictions on how the money is spent. After opening an RDSP, many people are surprised at how quickly the money can grow. Once you have your RDSP in place, there are important things to know about managing it, your plan holder responsibilities. Again, while time and effort is needed to understand how everything works, we recommend jumping right in as soon as possible. Whether your child is still very young, or you are just now considering the RDSP for an older adult with a disability, the RDSP is a must for most people. 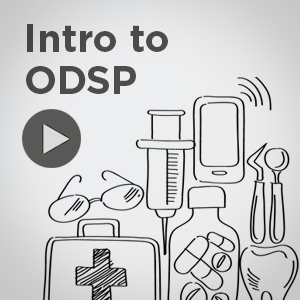 For a more detailed introduction to the RDSP, CLICK HERE. For what to do after you have opened your RDSP, CLICK HERE.